1. Assembly – If you’re not a Photoshop pro, but want to create like a veteran designer, then Assembly is your answer. The app lets you create custom images and overlays on your pictures with a massive collection of shapes and editing tools. You’ll create professional grade graphics within a few minutes. 2. Pause – Similar to these 6 relaxation apps, Pause helps you reduce stress and refocus when your mind strays. Using the movement of your fingertip on the screen, the app helps you reset using the principles of Tai Chi and mindfulness practices–something we all can benefit from. 3. Afterlight – There are a million photo editing apps out there that accomplish all that you need, but Afterlight is a photographer favorite. It rolls all of your favorite features into one. Just think what you can do with 74 filter options, 78 textures and tons of framing shapes. I’m down for any app that helps me edit within seconds. 4. Photomyne – Because capturing moments is major and there was a time when digital cameras and quality cell phone cameras weren’t a thing, Photomyne scans all of your hard copies of old pictures and saves them into a digital file. This is awesome if you ever create photobooks that include pictures from back in the day. 5. Star Walk 2 – If I need a night looking at the stars–because I can’t get enough of our night’s sky–then Star Walk 2 is a must. The app lets you explore the sky above by identifying constellations, stars and planets while also giving you a deeper dive into the galaxy. This app should have a rabbit hole warning, because you won’t want to put it down. 6. Tetris – Um…need I explain? I’m a sucker for all things that lived on in the 90s and Tetris on Gameboy was no different. It’s nostalgia at its finest, and a problem solving game that was soo addictive. If I’m not going hard on a Mario game, then a quick Tetris less always does the trick. 7. Sleep Cycle – Like Pause, Sleep Cycle is all about getting you back on track, or at least from derailing. You set what time you usually go to bed and place the phone close to you, and it will do the rest. The app tracks your movements and sleep pattern to know when you’re in your lightest stage of sleep and ready to wake in the morning. You’ll wake up well rested and ready to tackle the day. 8. Sleep Pillow Sounds – So you’ve got the wake up less nailed down, but what about going to sleep? We’re supposed to shut off electronics before hitting the hay–to get the ultimate beauty rest–but I say this is one excuse to keep your phone going after you’ve rested your head. The app is a white noise machine that plays ambient sounds to lull you to slumber. 9. NightCap Pro – $1.99 And finally, the last photo app to help you capture moments and create beautiful imagery. NightCap pro extends the aperture on your phone to let more light in. That means brighter night time photos without having to up the exposure afterwards AND some unbelievable light trail possibilities. If you’re looking for some other apps to up your creativity and help you cool down here are a few others you’ve got to have. 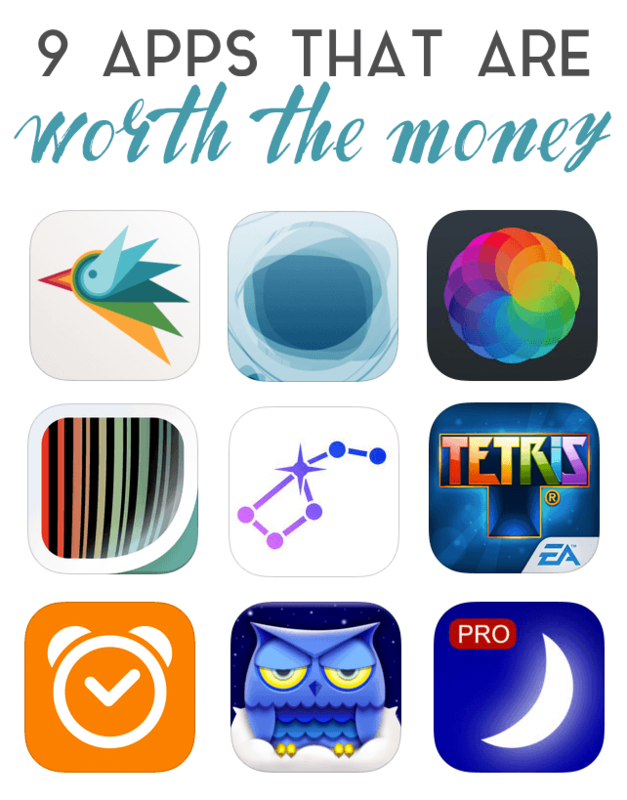 Have you tried any of the apps above?